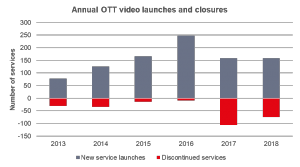 According to Ovum’s latest (March 2019) update of its OTT Video Service Provider Tracker, the growth in new OTT video services globally has begun to slow down. In most countries, this is because streaming is already dominated by one to three transactional video-on-demand (TVOD) stores and three to five subscription services. The FAANGs (minus Facebook) typically hold majority market shares, with Netflix and Amazon at the top for subscriptions and Apple and Google for TVOD. At the same time, the rate of service closures is also falling. 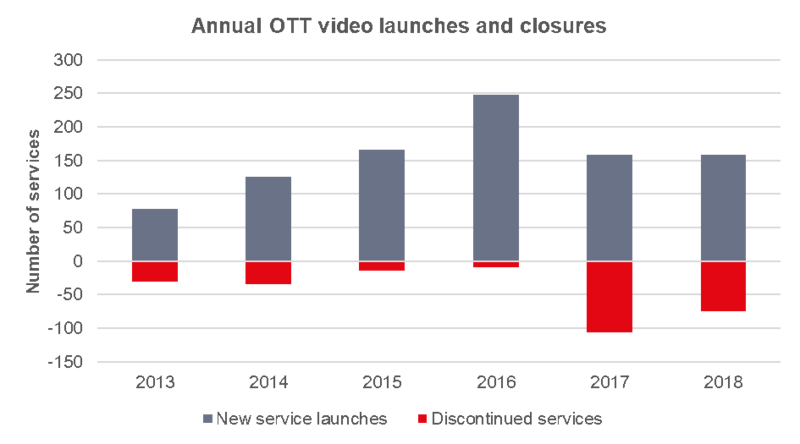 We‘ve recorded 326 discontinued services in the period 2012–19, most of which launched during the “2016 SVOD craze“ when services rushed to market to compete with Netflix. Two-thirds of those, however, ended up closing in 2017 or 2018 after failing to do just that. 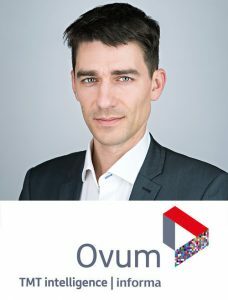 Looking ahead, Ovum does not expect the number of streaming services to drastically increase over the foreseeable future. A number of high-profile OTT video streaming services are coming in the next three years, however. Starting in the US, notable new launches like Disney+, WarnerMedia OTT, and Apple TV+, are due to launch at various dates in 2019. While Apple is to launch its new subscription service in some 100 different territories at the same time as the domestic launch, we think that the international phase for the other forthcoming US linear OTT TV services (or SLINs) will be from 2020 onwards. However, around the world, broadcasters, pay-TV operators, and other service providers have already launched early versions of SLINs. The result is that in 1Q19, for the first time ever, there were more SLIN services globally than subscription video-on-demand (SVOD) services, meaning there is unlikely to be a repeat of the 2016 spike in the number of streaming services. If anything, it is likely that there will be a spike in the rate of service closures at some point in the early 2020s, as some domestic/regional SLIN services may find it difficult to compete with stronger US SLINs. Tony Gunnarsson is principal analyst at Ovum.